Your business represents a big part of your wealth. Here’s why you need to protect it with a succession plan. Many years ago, I had a friend who was a financial advisor and specialized in estate planning. In encouraging people to establish or update their planning, he would tell them that not having a plan was the same as having a plan to leave extra money to the IRS, to the detriment of their intended heirs. The same goes for business succession planning. 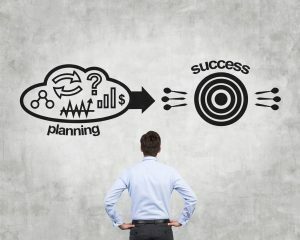 Not having a succession plan doesn’t mean that you will never retire or die, it just means that when you do there will most likely be a dispute and a judge or mediator will decide what happens to your business. Wouldn’t it be much better if you established a plan for your business? There are many reasons why a business succession plan is important. For many business owners, the business represents most or a significant portion of their wealth. Whether the plan is to keep the business in the family, sell to employees, or sell to an outsider, a written plan will play a big part in a smooth transition, which will preserve the value of your business. A transition plan will also help you prepare for any unplanned circumstances, such as death, disability, or inability to work. When something bad happens, it is usually too late to execute an effective plan. If the business is being kept in the family or sold to employees, a succession plan will go a long way in preparing the management team or next generation to take over the business. This process must commence long before the transition begins to be successful. Finally, an effective plan will help you focus on the value of your business and the steps that you can take to increase that value. Many owners are unrealistic about the value of their business, believing that value is simply a multiple of something, the amount they put into the business, or an uninformed guess. The value of a business is based on future cash flow and risk. Good cash flow and low risk translates into high value. What can you do today to increase the value of your business? If you’re ready to plan for business succession but don’t know where to start, contact me at [email protected]. Should Rules of Thumb Be Used to Value a Business? I frequently receive requests to quickly value a business by applying a “rule of thumb”, that is, application of a simple formula to the gross or net income of a business to determine its value. The value of a business is based on two factors: cash flow and risk. Using a rule of thumb to value a business considers neither. Rules of thumb are old wives’ tales of business valuation; no one knows where they come from or the basis upon which they were derived. As a simple example, consider two hypothetical businesses in the same industry (Company A and Company B). Each has $2 million of sales and $400,000 net income. Using a rule of thumb would result in both businesses having the same value. But what if all of Company A’s sales came from a single customer, and Company B’s sales consisted of $100,000 each to twenty customers. Which company is more valuable? Company A clearly has more risk because the loss of a single customer would put it out of business. However, this factor, and many similar factors, are never considered by rules of thumb. In determining what they will pay for a business, investors consider projected cash flow and risk that projected cash flow will not be realized. A fair market value buyer pays for cash flow; the greater the cash flow the more the buyer will pay. 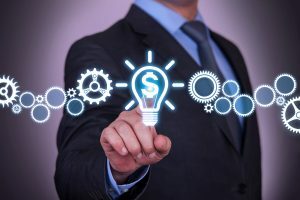 Cash flow includes funds available for distribution during the period of ownership, as well as the amount received upon the sale of the business. The cash flow is discounted at a rate based on risk; the greater the risk the higher the discount rate and the lower the business value. Risks common to many businesses include customer and/or supplier concentration, competition, lack of management depth, and product obsolescence. 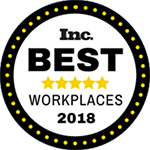 This list is not all inclusive as most businesses are unique and may face other risks not mentioned. Estimating the value of a business requires thorough analysis of the business, the industry, the marketplace, and the economy. If you want to know the value of a business, don’t use a rule of thumb; engage a business valuation professional. You will be glad you did. The Tax Cuts and Jobs Act of 2017 (“TCJA”) increased the lifetime estate and gift tax amount that may be transferred free from $5 million to $10 million per taxpayer, indexed for inflation. This increased exemption applies to transfers made between January 1, 2018 and December 31, 2025. On January 1, 2026, the lifetime exemption reverts to $5 million. 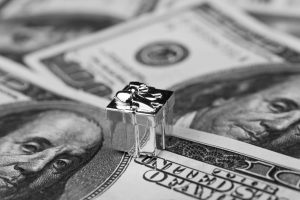 The IRS recently announced that the 2019 inflation adjusted exemption amount is $11.4 million, which allows a married couple to shield $22.8 million from transfer tax. Because the increased tax exemption was temporary, there was uncertainty whether gifts exceeding $5 million made under these provisions would be clawed back into the estates of decedents dying after the 2025 expiration of the increased exemption amount. In other words, if you made a $10 million gift in 2025 and died in 2027 when the exemption is $5 million, would your estate owe tax on the $5 million excess? On November 25, 2018, the IRS answered this question with the issuance of proposed regulations, which indicate that gifts made before January 1, 2026, will not be clawed back to the estates of decedents dying after December 31, 2025. The issuance of these proposed regulations strengthens a tremendous opportunity for the tax-free transfer of wealth, including ownership interests in closely held businesses. For those considering gifting closely held business interests, the process is more complicated than gifting assets such as marketable securities, the fair market value of which is readily determinable. To gift a business ownership interest, a valuation of the business and the gifted interest must be performed by a qualified business appraiser. Although 2025 is distant, those who wait until the last minute may encounter problems obtaining the required business valuation. You may recall 2016, when the IRS proposed rules eliminating valuation discounts in estate and gift valuations. There was a mad rush to get valuation reports completed, with limited capacity to complete this work. If you have a large estate, this is a tremendous opportunity to save transfer taxes, which get to a 40% tax rate very quickly. If your estate includes a closely held business, you would benefit by starting the process sooner rather than later. Once this opportunity is gone, it will be gone for good. Contact your advisors today to get the process going. Is it Time to Update Your Buy-Sell Agreement? Why should you have a buy-sell agreement? Buy-sell agreements are among the most important agreements entered into by business co-owners. Notwithstanding the importance, many businesses do not have buy-sell agreements in place, and for many that do, the agreements are ambiguous and outdated. An effective buy-sell agreement will eliminate or reduce the disputes arising from the death or retirement of a shareholder or partner, and the absence of an effective agreement may result in a protracted and costly dispute. Is your existing agreement still effective? To determine if an existing buy-sell agreement still works for a business, the value of the business should be calculated pursuant to the agreement, as if a triggering event had occurred. If there are not disputes over interpretation of the agreement, all parties believe the value result is fair, and the funding mechanism is in place to make the required payments, then the agreement is still acceptable. Many companies that perform this exercise find the existing agreement to be unsatisfactory and in need of change. It is much better to perform this exercise and identify problems with the agreement prior to occurrence of a triggering event. In the evaluation of the results of this exercise, the parties will usually be open minded and fair, because they do not know if they will be a buyer or a seller when the actual triggering event occurs. Buy-sell agreements generally fall into three basic categories: fixed-price agreements, formula agreements, and agreements requiring the performance of a valuation. In fixed-price agreements, the price is specified in the agreement and is generally funded by an insurance policy, which was purchased at the time the agreement was executed. These agreements usually contain a provision requiring the fixed price to be periodically updated, but this provision is frequently disregarded. Problems can arise when a triggering event occurs and the fixed price value has not been updated, the triggering event occurs after the expiration of the original term insurance policy, or the insurance benefit is no longer sufficient to fund the required payment. In a formula agreement, the business value is generally determined by a relatively simple formula such as a multiple or percentage of net or gross income. The problem with formula agreements is that although the formula undoubtedly made perfect sense when the agreement was drafted, it may no longer be relevant or yield a result that bears any relationship to current value. Furthermore, if net income is a component of the formula, each expense paid by the business can become the subject of a dispute. Agreements that require the performance of a valuation by a qualified expert are most likely to yield a fair result and less likely to be the subject of a dispute, as opposed to fixed-price or formula agreements. 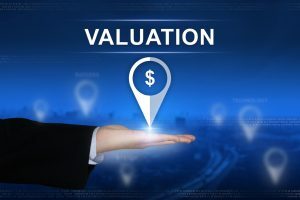 This business valuation will require payment of professional fees, but these fees will be far less than those that would be paid in the event of a dispute. Standard of Value – This is an important element of a buy-sell agreement. In New Jersey, the most frequently used standards of value are fair value and fair market value. An agreement that uses the generic term “value” and does not state the standard of value to be used will be the subject of dispute. Triggering Events – Common triggering events in a buy-sell agreement include shareholder death, disability, and retirement. Other triggering events that should be considered are divorce, loss of business or professional license, or one’s continued failure to perform duties. The agreement should also distinguish between normal retirement at or within a range of ages stated by the agreement, and early retirement, which occurs prior to this age or range. Valuation Date – Upon the occurrence of a triggering event, the valuation date is the effective date of the valuation. In performing the valuation, the valuation analyst can only use information that was known or knowable as of the valuation date. This is important because an event occurring subsequent to the valuation date cannot be considered in the valuation. Discounts and Premiums – Discounts for lack of control and lack of marketability frequently give rise to disagreement between business valuation practitioners, as well as between practitioners and the Internal Revenue Service. To avoid controversy over application and amount of discounts, consideration may be given to specifying a range or maximum discount in the buy-sell agreement. Tax Effecting – Most closely held businesses operate as S corporations, partnerships, or limited liability companies taxed as partnerships. 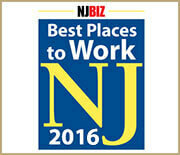 With limited exception, none of these companies pay federal or New Jersey income taxes. They are commonly referred to as pass-through entities, because the business income or loss passes through to the owners for inclusion and taxation on their individual income tax returns. Because pass-through entities do not pay income taxes, controversy exists whether income tax expense should be recognized in the valuation of these entities. In drafting a buy-sell agreement, consideration should be given to expressly addressing tax effecting in the agreement. Although it is impossible to anticipate every contingency and the source of every possible disagreement, an effective buy-sell agreement that is understood by all will go a long way in reducing disputes. Business circumstances change, and the buy-sell agreement may require periodic updating to reflect such changing circumstances. It may be uncomfortable for the parties to discuss sensitive buy-sell agreement issues, but it is far worse to ignore them. Issued not addressed do not go away, they become bigger and more often than not must be decided by a judge. Review and update your buy-sell agreement today to avoid future problems. If you have questions about buy-sell agreements or require an independent business valuation, contact KRS CPA partner Gerald Shanker at 201.655.7411 or [email protected]. You can also learn more from these buy-sell agreement and business valuation blog posts. This article was originally published in the New Jersey Staffing Alliance July 2017 newsletter. Do the valuation provisions of your shareholder or partnership agreement specify a standard of value? If they do, is the standard of value “fair value,” “fair market value,” or something else? 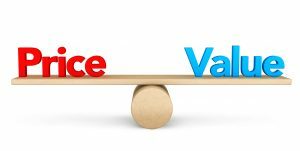 If the standard of value is not fair value or fair market value, does the agreement define the standard of value to be used in the event a valuation of the business is required? Court decisions frequently state in addition that the hypothetical buyer and seller are assumed to be able, as well as willing, to trade and to be well informed about the property and concerning the market for such property. Depending on the characteristics of the ownership interest being valued, minority and marketability discounts may be applied in valuing the ownership interest under the fair market value standard. The amounts of these discounts are fact sensitive, but discounts between 30% and 40% are not uncommon. The fair value standard was created in New Jersey in the case of Brown v. Brown 348 N.J. Super. 466, which is basically fair market value without discounts. The Court’s logic in this divorce case was that since the business was not being sold, the nontitled spouse should not suffer discounts in the distribution of marital property. I have also been involved in a situation in which the agreement used the term “value” without definition. The parties in that dispute spent a significant amount of money on professional fees that resulted in an arbitrator deciding on a definition. As you can see, the use of the single word “market” in the standard of value may have a huge impact on the valuation result. What does your agreement say, and is that what you intend? Although discussing this issue and updating business agreements may be uncomfortable for some, it is far better than ignoring this issue, because doing so may very likely end up in litigation. Whether you are buying a retail store, a franchise, or a service business, your due diligence and valuation process is not much different than that employed in purchasing a multi-million-dollar business. What is the amount and timing of money you expect the business to generate in the future? When you are ready to sell the business, how much will you be able to sell it for? What is the risk that items 1 and 2 will not occur as expected? As evident from these questions, the thing to focus on is the future. Although the seller will certainly focus on past performance, what happened twenty, ten, or five years ago is of little significance; you want to know what will happen in the future. It is not uncommon for small business buyers and sellers to agree on a price based on an industry “rule of thumb” formula such as three times net income or 80% of gross revenue. Unfortunately, rules of thumb are nothing more than old wives’ tales. Every business is unique and no business should be purchased based on a formula purported to be applicable to an entire industry. Sometimes a buyer thinks that he or she is buying a business, but they are really buying a job. On the most basic level, the value of a business is based on the amount of money you can earn above and beyond the value of the services you provide to the business. For example, if you earn $100,000 per year as an employee and you have the opportunity to purchase the business where you are employed, the purchase would make sense only if it gave you the opportunity to increase your earnings. Investing in a business is risky. If you purchased the business and continued to earn the same $100,000, you would not receive any return for taking the risk, and would be better off investing your money elsewhere. Professional advisors understand the issues; know the questions to ask and procedures to employ to help you understand the business you are considering and what it is worth. The earlier in the process that you get professional advice, the better off you are. Even if you just ask your CPA to look at the last few years’ tax returns of the business and offer comments and questions, you will save a lot of time and money, and get unbiased advice from an experienced professional. Let’s face it, to be called a certified public accountant (CPA) one must have a certain educational background as well as proven knowledge (i.e., by passing a rigorous exam). We believe CPAs have the business acumen that allows them to prepare basic financial reports and tax returns. You may also expect your CPA to fill the role of business consultant to help you achieve certain business and personal results. How do you know if a CPA is right for you? How many years of (corporate, partnership, individual, estate) tax experience do you have? If I use you/your firm, who will prepare my tax returns? Who will be working on my account? Do you hold any advanced degrees? What associations are you a member of? What if I am audited? Will you represent me? What are the additional costs? Will you review prior years tax returns at no additional charge? Do you have expertise in my industry or with a specific issue relevant to my facts and circumstances (i.e. stock options, government contracts, tax credits, etc.)? How do you bill for your services/what will you charge? What if I need accounting or bookkeeping help? Do you offer these services? What if I need a loan or credit line? How can you help me? If I decide to use you, what should I expect? These basic questions should spark conversation that will not only provide you with the assurance that the CPA is qualified, but it should also provide insight as to how the CPA can help your business or family. This conversation should allow you to evaluate how the CPA can educate you and how the CPA will collaborate with you to help you achieve your goals. The CPA should be focused on understanding your needs and clearly communicating how his or her skills and expertise will help meet those needs. 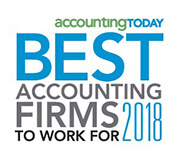 Most CPAs will tell you they meet many of their new clients through referrals from existing clients or from other professional service providers such as attorneys, bankers and investment advisors. Other business owners, family and friends are also good sources to seek out for accountant recommendations. If you are unlucky finding a CPA through referral, you can try your state’s CPA society as it will likely have a directory of its members. You can also check the CPA firm’s website and partner profiles for services offered, industries served and other specific expertise. The industries CPAs specialize in and the services they offer will vary according to firm size and partner/staff expertise. At KRS, for example, we provide full-service accounting, tax planning and preparation, business office processing and business valuation services to businesses. We also offer family office services, individual tax planning and preparation, and estate accounting and tax preparation to our individual clients. If you have questions about choosing the right accountant for your family or business, I’d be happy to help. Contact me at [email protected] or 201.655.7411 . The most important tool in helping evaluate cash flow and risk is good accounting records. If the business has five or more years of good accounting records, the buyer’s perception of risk is reduced, because the records will tell the story of the company’s cash flow, and make it easier to project future cash flow. Expense Reductions – Review your financial statements line by line. Can the company operate with less payroll? Fewer vehicles? Can you reduce your space and related rent expense? Have employee contributions to health insurance costs kept up with rising premiums? 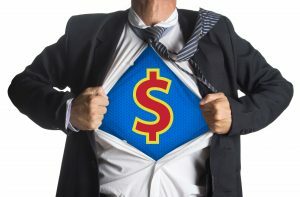 I once assisted with a business sale in which the owner’s mantra was “find an expense reduction or become one.” Every dollar that is added to the bottom line may increase the value of the business. Revenue Increases – Can the customer base be expanded? How will the company’s market share be affected by a price increase? What about a price decrease? Can the company take on new product lines? Accounts Receivable – Can customer payments be accelerated? Money that is not in accounts receivable will be in your bank account, available for the business to use. For example, a business that has $10 million of annual sales will gain approximately $385,000 of cash by reducing its average collection period by 14 days. Inventory – Are you carrying obsolete or slow moving inventory? If so, it should be sold at a discount to reduce inventory and raise cash. This step is also necessary so that prospective buyers of the business will have an accurate picture of normal inventory levels. Customer Concentration – Is the business dependent on sales to one or a few customers? What would happen if one or more of those customers were lost? Supplier Concentration – Are business operations dependent upon one supplier? If that supplier ceased to exist, could it be replaced? Key Employees – Do the key employees have employment agreements and/or non-compete agreements? If not, and they went to work for a competitor, would the business suffer? Obsolescence – Are your products or the processes used to produce your products approaching obsolescence, or are you updating your products and processes to stay competitive? To understand the value of the business and how to increase it, a business owner considering selling should have the business valued. This will help him understand the factors that drive the value of the business. If this is done long before the contemplated sale, this will give the owner and management team more time to make the changes necessary to increase the value of the business. For more about business valuation, read the posts, “Why You Need a Business Valuation,” and “Goodwill and Your Business.” Also visit the KRS Business Valuation and Litigation Support page. I have helped many clients purchase businesses, and probably advised just as many to walk away from deals. What makes a deal good and what are the important factors in evaluating the purchase of a business? If you are considering purchasing a business, your goal should be to minimize the risk that you will overpay for the business. Buying a business is an investment decision, no different than buying stock in a publicly traded company. When investing in public company, you consider two factors; how much can you expect to receive in dividends and what do you expect the stock price to be when you sell. Not all stocks pay dividends, but absolutely no sane person would purchase stock in a company if they expected the share price to go down during their period of ownership. It is the same when you buy a business. The important factors are how much income will be available for distribution to you (the dividend) and how much will the business be worth when you are ready to sell (the share price). The problem is, there is usually more uncertainty (risk) in a private business than in a public company. As a purchaser, what can you do to understand and minimize the risk? Accounting records tell the story of a business, and speak for themselves. If the business does not have good accounting records that go back at least five years, that is risk. The more explanations and stories that are needed to support the accounting records, the greater the risk. I always tell clients that they should only pay for what the seller can prove. As far as we are concerned, if income isn’t reflected on the books and reported on the tax returns, it does not exist. Concentration risk is another important consideration. If the business is economically dependent upon a single customer or a few customers, a single product supplier, or a few key employees, the future of the business is risky. What would the business look like if the important customer was no longer a customer, the single supplier could no longer supply product, or some key employees went to work for a competitor? Could the business continue profitable operations if one or more of these events occurred? If you buy a business and the only thing you get is a salary for working there, you are not buying a business, you are buying a job. Take the emotion out of your decision. You would be better off getting a job somewhere else and not putting your investment at risk. However, if you expect the business to grow, allowing you to receive more money in the future, and eventually sell the business for more than you paid, that is a different story and should be your goal. I have touched on a few of the many things that must be considered in the purchase of a business. Before you buy any business, you should conduct thorough due diligence, which is usually performed by CPAs and attorneys experienced in business purchase and sale transactions. This will help you understand the business, its risks, and provide the information that will allow you to estimate the value of the business. Buy-sell agreements are the most important, but perhaps most overlooked agreement that a business can have. These legal documents protect business owners when one owner leaves the company for any reason. Although many businesses have buy-sell agreements, they were likely drafted when the business was formed many years ago and have not been looked at or updated since. If your business has a buy-sell agreement, take it out, read it, and ask your accountant to calculate what would happen if the agreement were triggered today. Evaluate the results from both sides, as a buyer and as a seller. Another important issue in buy-sell agreements is the payment terms. Does the agreement require a lump sum payment or payments over an extended period of time? If a lump sum payment is required, how will that payment be funded? If funded by insurance, is the policy still in force and is the amount sufficient to make the payment? That $1 million term policy that was purchased when the business was formed may not be enough to cover the price today if the business has grown. Also, term insurance expires at certain ages, perhaps leaving no funding for the agreement. If the agreement requires that the business be valued, it should specify the standard of value to be used. There are big differences between fair market value and fair value. I once served as an expert in a dispute in which the agreement used the term “value.” The standard of value issue was eventually resolved, but not before the parties spent a lot on legal fees. Not having a buy-sell agreement is a different kind of agreement—one to spend a lot of money, perhaps hundreds of thousands of dollars, on professional fees, and years to resolve the issues. Companies without an agreement end up letting a judge or a jury decide what will happen to the business that they worked so hard to build. Although it is often an uncomfortable conversation to have with your partner, it is a much easier conversation to have now, when you are both healthy, your interests are aligned, and retirement or disability is not on the horizon. It is a far more difficult to reach an agreement after a triggering event, especially when that conversation is with a widow or children who are not at all concerned with fairness. I have only touched on a few of the issues surrounding buy-sell agreements. Take a look at your agreement with your CPA and attorney to be sure that it is up-to-date, or contact me at [email protected] with comments and questions.